There’s a real buzz among planetary scientists after a new study suggested that an unseen planet, dubbed “Planet Nine”, of about ten times the Earth’s mass could be lurking in the Kuiper belt, a band of icy objects beyond Neptune. The latest theory was put forward after scientists noticed that six objects in the belt were behaving strangely, something that they said could be explained by the existence of a new planet. It’s not the first time such a case has been made for a new planet. So how does this new theory compare to similar claims made in the past? The Kuiper belt, which we started discovering in the early 1990s, is a region of the solar system beyond the major eight planets that we are are only just starting to explore in more detail with space probes like NASA’s New Horizons mission. The Kuiper belt is home to many comets formed in the Uranus-Neptune region 4.6 billion years ago – Rosetta’s comet 67P comes from here. Even more comets populate the spherical, but as yet unseen “Oort cloud”, another belt of rocks far beyond the Kuiper belt, where most comets spend most of their time. The Oort cloud is 10,000 astronomical units (AU) away from us (one AU is roughly equal to the distance between the Earth and the sun, or 149.6m kilometres). The basis of the new theoretical evidence for the new planet is the strange alignment of the six Kuiper belt objects, and the deflection out of the ecliptic plane of others – this would seem to indicate that the objects are being disturbed by the gravitational pull of a huge planet far beyond Neptune and Pluto, and which has been calculated to have an orbit around the sun of 15,000 years. So how do we know it is a planet and not just a large object in the Kuiper belt? The implied mass of the object that could disturb these orbits is simply too high for it to be a very large Kuiper belt object like a dwarf planet or an asteroid. Theoretically, it is possible to explain how an additional outer planet core could have formed further away and alongside Jupiter, Saturn, Uranus and Neptune using models of the birth of our solar system 4.6 billion years ago. And observations of exoplanets show that, elsewhere, large objects can form at relatively large distances from their parent star. However, another possibility that could explain the odd behaviour of the Kuiper objects may be that “Planet Nine”, if it exists, could be a large object in the inner Oort cloud rather than a planet. It may seem hard to believe that we could suddenly discover a new planet. Since ancient times, humans have been able to observe all of the planets out to Saturn and in the 1600s realised they were in orbit around the sun. William Herschel then discovered Uranus in 1781, and observations of its orbit led to the discovery of Neptune in 1846. Pluto was added in 1930, following a search for a larger “Planet X”, but was demoted to an ice dwarf planet in 2006. Many Kuiper belt objects have also been observed, with at least one of them, Eris, more massive than Pluto (which eventually forced the demotion of Pluto). In the past there have been claims for an extra “Planet X” (now planet IX, or the more familiar Planet Nine, due to Pluto’s demotion). But none of them have fully held up so far. When further irregularities in the orbit of Uranus were first noticed in 1906 it sparked a search for a Planet X that was thought to be massive. Eventually, however, the less-massive Pluto was found instead by Percival Lowell in 1930. In the 1980s, a Planet X was proposed by Robert S Harrington based on the irregular orbits of Neptune and Uranus. This was later disproved by Myles Standish, who was able to explain the irregularities by revising the mass for Neptune using data from the Voyager flyby. In the 1990s, a large planet near the Oort cloud, dubbed Tyche, was proposed to explain the orbits of certain comets. This was ruled out for Saturn-sized objects or larger by NASA’s Wide-field Infrared Survey Explorer satellite although smaller as yet undetected objects may be possible. Sedna, discovered in 2003, is a dwarf planet in our solar system with an elliptical 11,400-year orbit between 76AU and 937AU (which is 2.5 to 31 times the distance from the sun to Neptune). Its discovery led to suggestions that it was an inner Oort-cloud object, deflected either by a passing star or by a large, unseen planet. If such a planet existed, the orbits of other nearby objects would also be disturbed, and this received some support from observations of another object, dubbed 2012 VP113. But orbital calculations indicated that this may be smaller and orbiting at a distance of 1,000AU or more. 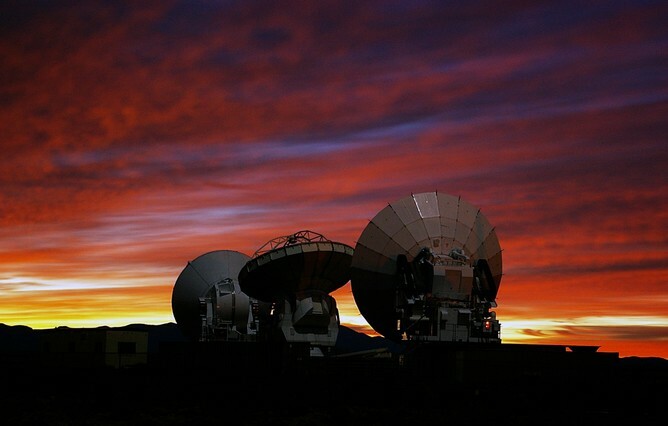 In December 2015, there was a hint of a large object 300AU away – about six times further than Pluto – in data from the Atacama Large Millimeter/submillimeter Array. However, the chance of catching such an object with a telescope is small, and many scientists think this is more likely a Kuiper belt object. Compared to all of these examples, “Planet Nine” has arguably the best supporting evidence. This is partly because effects have been seen in the orbits of the six Kuiper belt objects rather than just one or two, which makes the theory seem potentially plausible. The dynamics of the outer solar system is delivering more surprises as our detection technology gets better, and we may expect much more knowledge of the Kuiper belt, or perhaps the Oort cloud in the coming years. In the meantime, we will clearly have to wait for direct evidence from ground or space-based telescopes to see if Planet Nine, or indeed other large objects, actually exist. Only armed with direct proof should we start worrying about a name.